Shosholoza, my short film about a community of women living with HIV in South Africa, is an official selection at the One Minute Film and Video Festival. It screens on March 31, 2011 at 7 pm at the Toronto Underground Cinema. 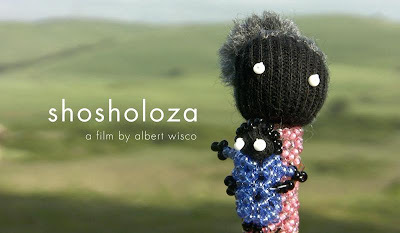 Shosholoza features the women who live in impoverished rural villages in the Valley of 1,000 Hills outside Durban. They create Little Traveller dolls at the Hillcrest AIDS Centre Trust for sale around the world. It's great news for "Shosholoza" which is a follow up to "Umhambi", another short film I made in 2007 that has been an official selection in festivals internationally with screenings in South Africa, the United States, Croatia, Sqitzerland and Canada. Where i can find your short film, Shosholoza?